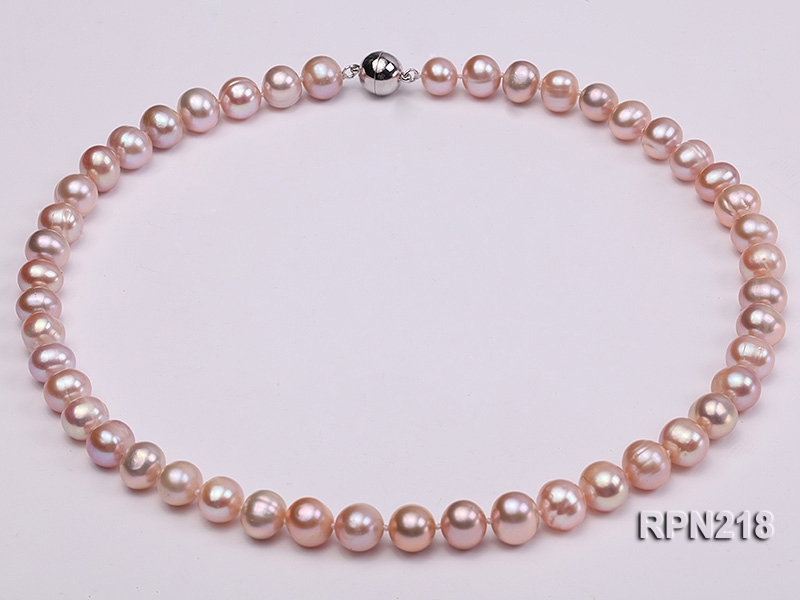 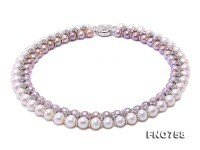 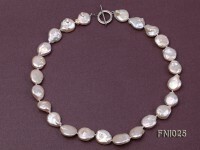 Shiny natural lavender pearl necklace, made with 9-10mm round freshwater pearls. 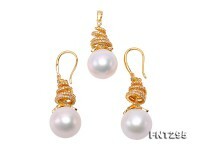 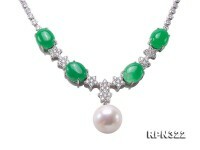 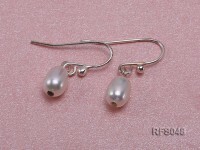 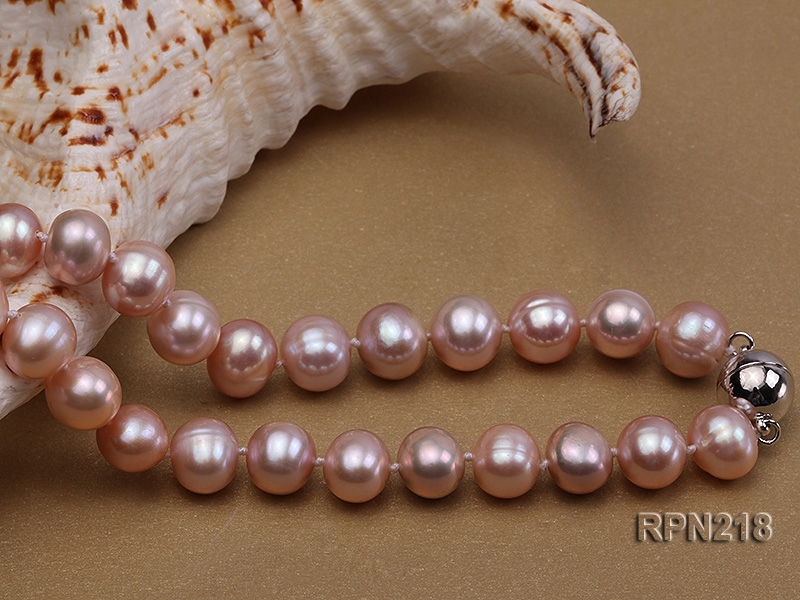 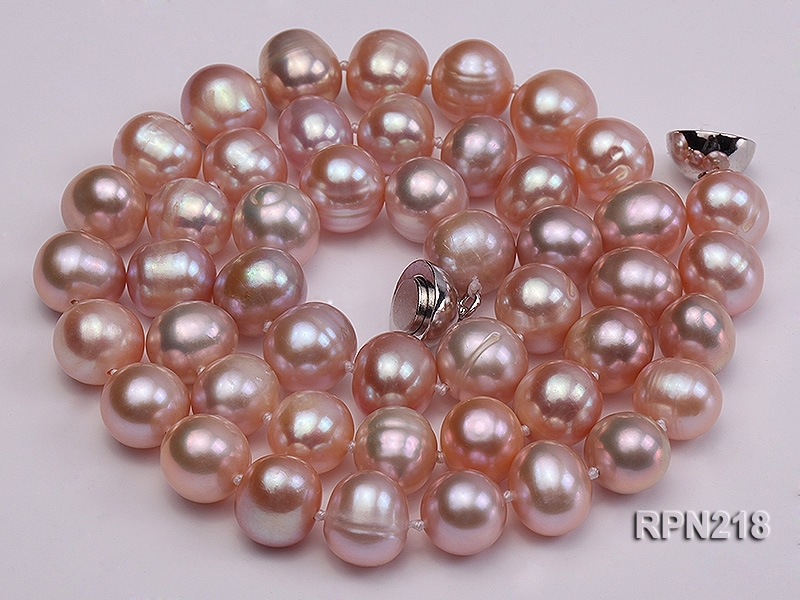 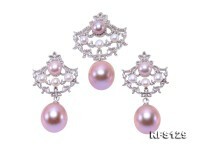 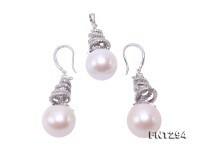 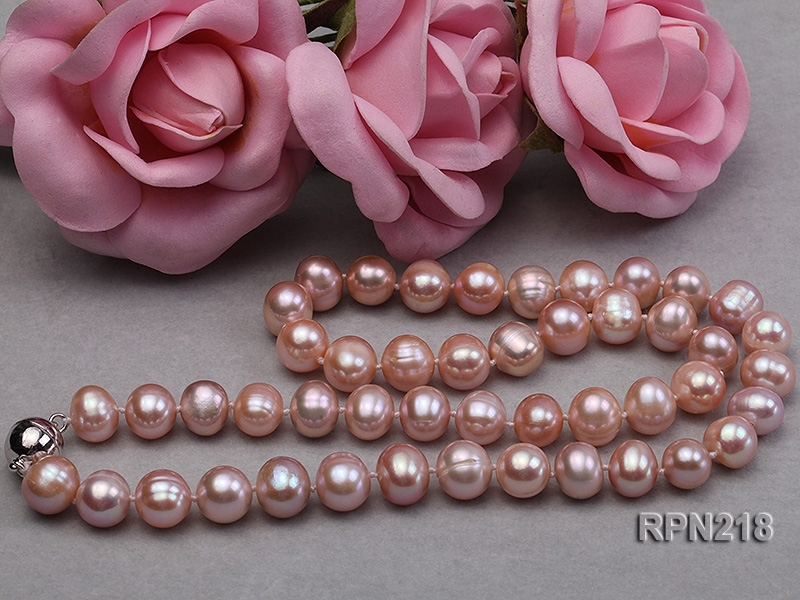 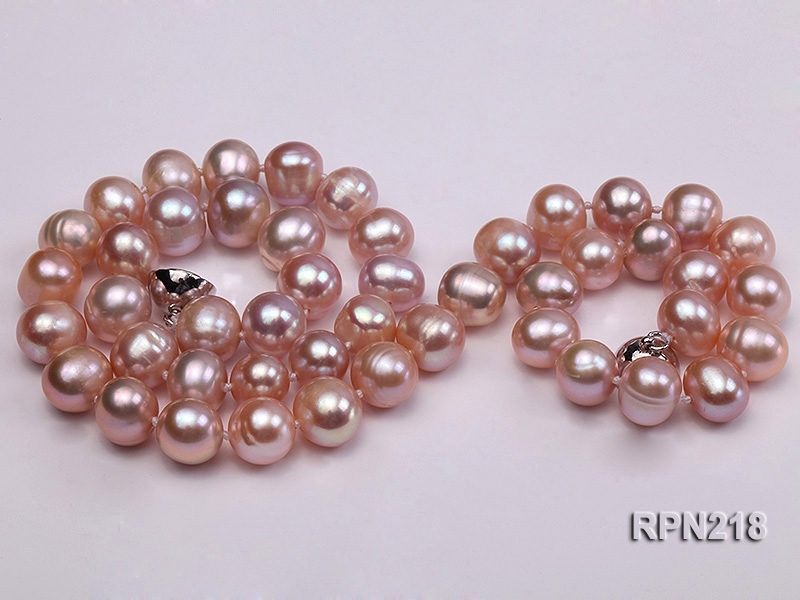 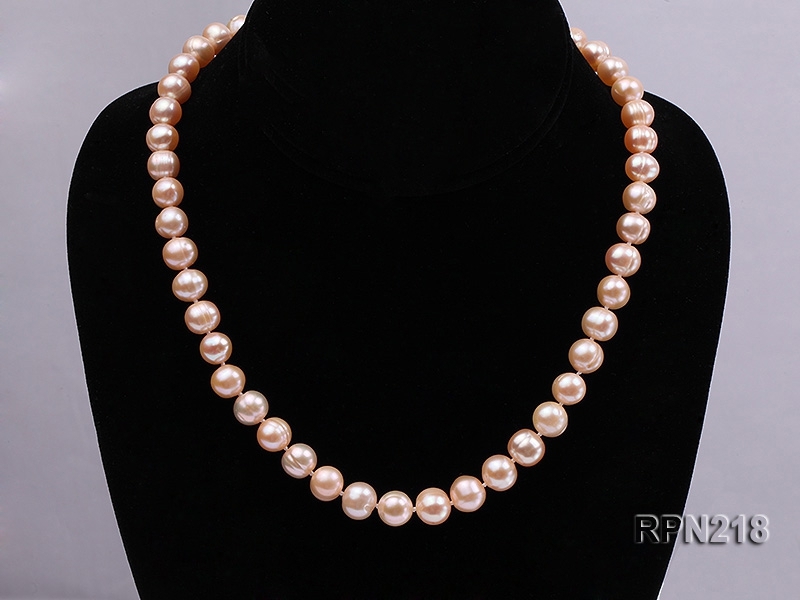 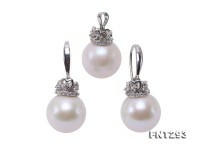 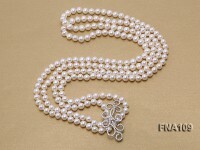 The pearls have thick nacre and shiny luster. 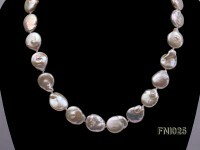 There are a few natural blemishes on the skin. 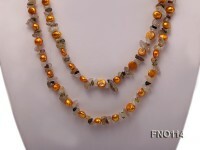 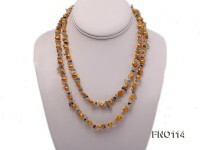 The 18-inch necklace is individually knotted, and finished with a easy-to-use shiny magnetic clasp.